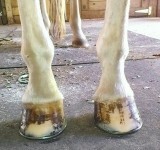 Performance Horseshoeing offers quality Farrier work and years of experience with an emphasis on continued education. Looking at and then considering the overall biomechanical needs of each individual horse, Joe brings a personalized plan of action to meet the individual needs of your horse and you. Here is a foot with a slight club on the right leg. But with good maintenance we are able to keep the structure and appearance looking good! 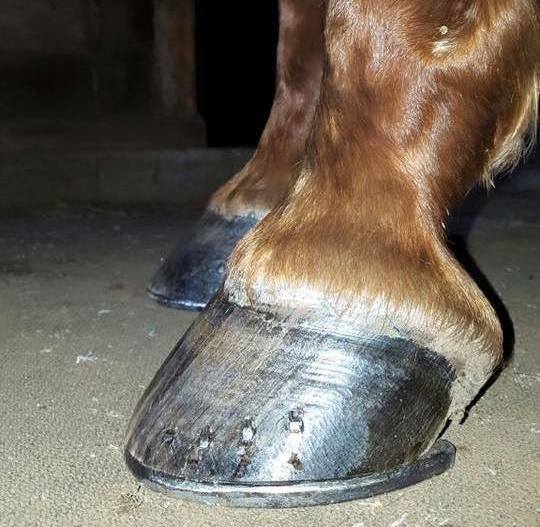 Did you know: the quality of a horse’s hoof is directly related to it’s moisture content which varies greatly from one place to another. The hoof wall is made up of roughly 25% water, the sole 33% and the frog 50%. Extremely dry or wet walls will result in a weaker hoof therefore more susceptible to failure and abnormalities. Well the clinic is rocking! We have some great cases to work on and learn from! And the new xray is awesome. Enjoy the opportunity to further our education to keep and maintain a healthy horse. And expand our working relationship with other Farriers and Veterinarians. 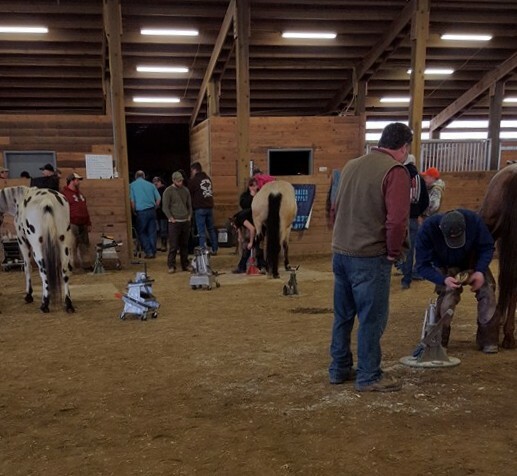 Performance Horseshoeing is back in Washington state and here to help get you and your horse ready for the upcoming show season! Call today to get on the books! Joe Faulkner has been shoeing horses for over 11 years and has worked with clients in Washington, Oregon, Alaska and Idaho. His goal as a professional farrier is to provide quality service that naturally compliments the biomechanical and anatomical needs of each individual horse. His clients have a few words to share. Thanks Joe for coming out and getting my horses feet ready for the trail! You did a great job and I learned alot from you. Happy happy happy! 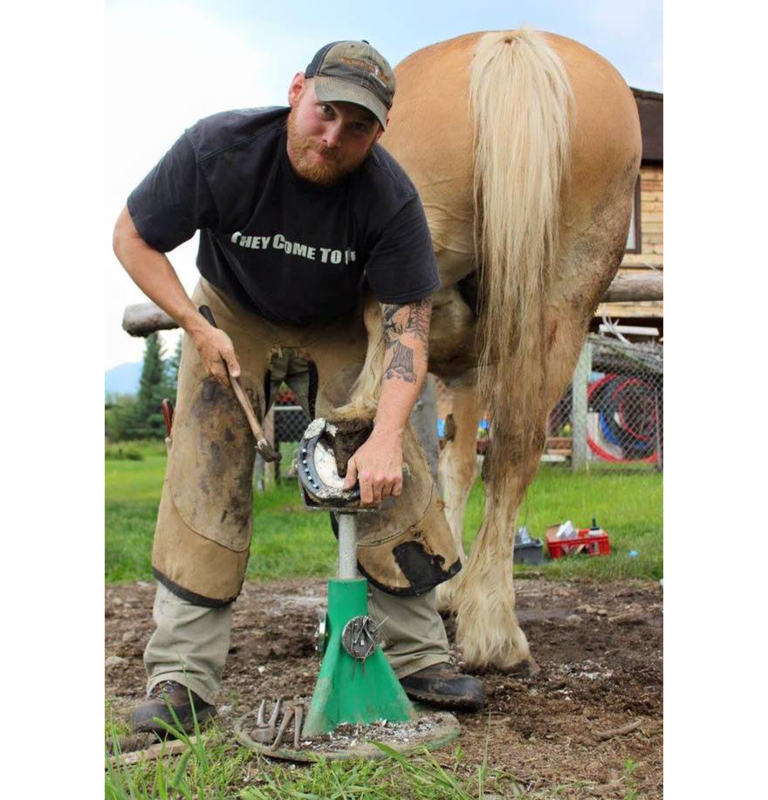 If you have been looking for a straight up reliable farrier to work with. Joe’s your guy. He trimmed all 4 horses and put shoes on 4 different breeds, understanding the gaited foot needs! Great to meet you look forward to our next appointment! I'm based out of Enumclaw with a route from the Yelm/Roy area north to Monroe, with several stops in-between. About every 8 weeks to the Ellensburg/Yakima area and to Port Orchard. Joe is a 2001 graduate of Pacific Coast Horseshoeing School. He apprenticed with AFA Certified Journeyman Farrier John Arkley about four years. Joe has spent time with several other knowledgeable Farriers as he continues to expand his education. Joe specializes in the treatment of various hoof and lower limb problems including laminitis, founder, navicular disease, confirmation defects, faults of gait, and alleviating pain through therapeutic and corrective shoeing techniques.